So Christmas went well, you spent all your dollars on gifts for your family and friends. So now you are broke BUT you still need to keep in touch with your fans, e-buddy and your tribe at the lowest price or even for free. Check out the applications out there that will help you communicate at the cheapest rate (if you use a free wifi connection). So what is the difference between all those apps ? Then you have What’s App, which works on both Blackberry and iPhone. An iPhone user will be able to chat with a Blackberry user! 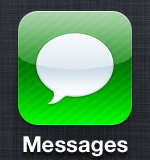 iMessage, before on with IOS4 you could text your friends … Now with IOS5 you can iMessage them. You can create chat rooms with friends. It will stay opened until you close it. Smart and useful. I tested it and it’s not really effective. Even when wifi connected, calls don’t go through so I prefer using Skype. 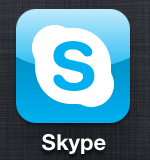 Skype is great for videochat, message. Sometimes the communication breaks down, but you can’t complain: it’s free and works perfectly most of the time. You have to add manually your Skype contacts. It doesn’t work on Blackberry though. 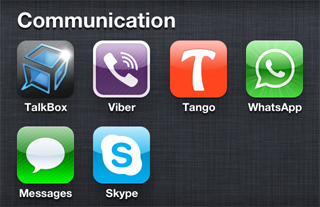 I use daily Blackberry IM, Skype, What’s App, iMessage and I will try to get my friends on Talkbox. Don’t hesitate to share your tips on Messenger apps.